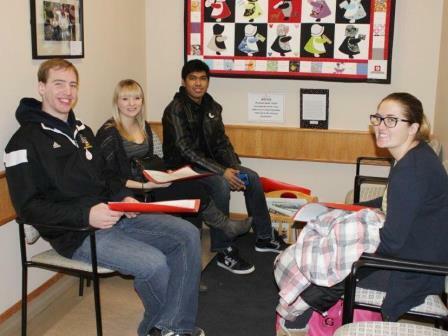 BRANDON, MB – More than 50 Brandon University (BU) students and the Brandon Bobcat’s sports mascot rallied to give the gift of life, in support of a Brandon-area infant that requires weekly blood transfusions. Fifteen month old Bailey Phillips was born with the virus Cytomegalovirus (CMV) and her own body is consuming blood platelets as fast as her bone marrow can produce them. Bailey requires regular transfusions to survive and has received more than 120 since August, 2013. 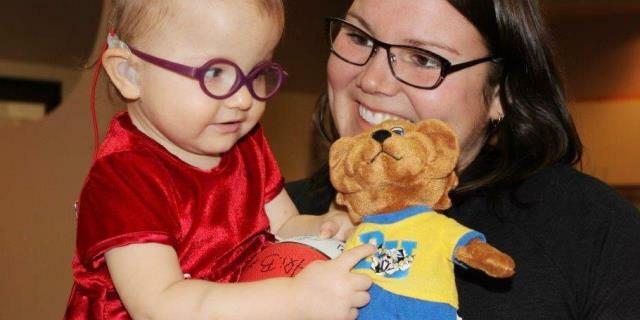 Bailey was presented with a signed basketball, baby basketball shoes, and a doll of the Bobcats mascot, who also goes by the name Bailey.